Numerics for Apple Watch is here! 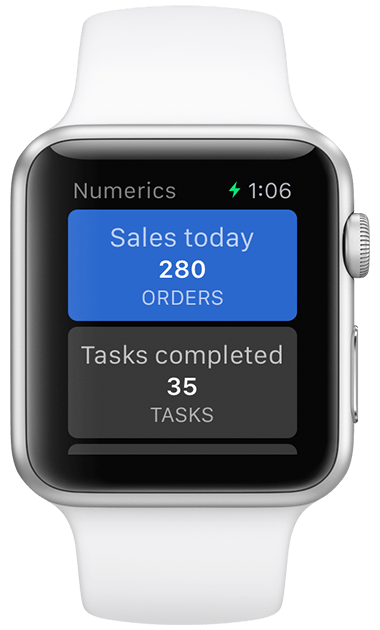 Over 5 months ago we started ideating and designing Numerics for Apple Watch and today we are happy to announce that it is finally live on the App Store. Ever since Numerics was conceptualized, we believed that its benefits would best manifest on a wearable device. At its heart, Numerics keeps you aware of your key performance indicators - your sales today, number of tasks for the day, your marketing effort’s performance or any other metric that matters most to you. The quick micro interactions with the watch are perfect for consumption of the bite sized information presented by Numerics. And for a lot of practical, day to day use cases, the quick accessibility and availability of your KPIs on your wrist could make all the difference between knowing them at a critical time or ignoring them completely. 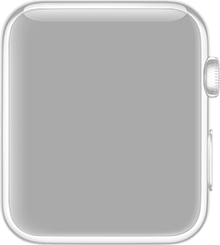 So when Apple announced the Apple WatchKit, we set out on our journey to design a killer app for Apple Watch and hoped to align its release with the launch of the Watch itself. Because, what is a smart watch without a great app that drives the user to strap it on everyday. The Apple Watch is simply not an iPhone on your wrist, instead it is a companion to the iPhone. It is designed to provide the user with condensed glanceable information that can be consumed quickly via micro interactions. Since the invention of wristwatches, people have been glancing at them to track time; a changing number thats universally important to everyone. We believe the logical step for a smart watch is to enable its user to track other changing numbers that are more personal and uniquely relevant to the user. So we set out with a mission to design a unique personal experience for Numerics on Apple Watch to help our users better engage with their important numbers. While Apple Watch comes with some limitations of smaller screen size, battery life and computing power. We have designed Numerics in a way that it takes advantage of the benefits of the new technologies of Apple Watch and fundamentally extends its applicability. The iPhone and Apple Watch versions of Numerics work together rhythmically. You can select metrics from the Numerics iPhone app to be shown on your watch. 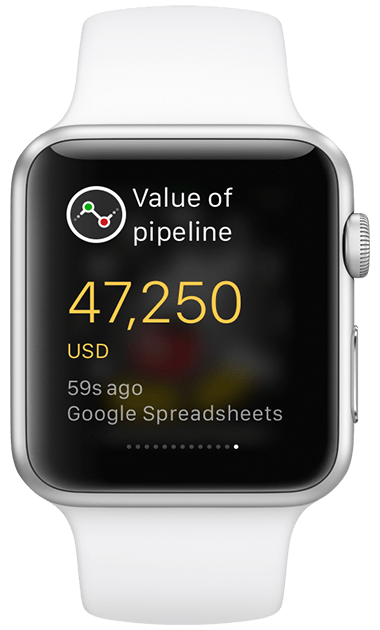 Numerics minifies any of its graphical widgets into a meaningful number to be shown on the Apple Watch for example the line graph is minified to show only its latest value. The watch app automatically presents your chosen widgets in a smooth color coded list that you can scroll using the digital crown. Tapping on any of the widgets zooms the single number into view, presenting it in big beautiful typography. 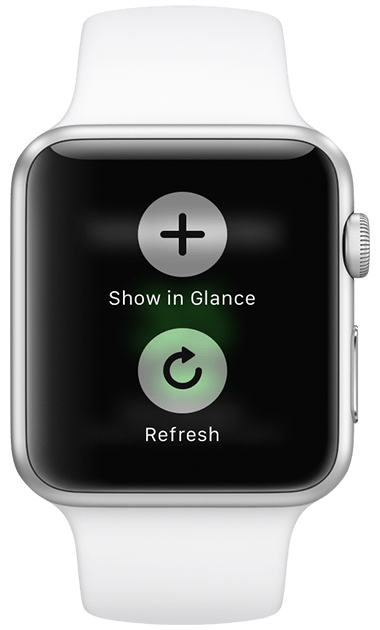 If you’ve configured any of the widgets on the iPhone app to notify you on changes, you will be alerted about the update on the Apple Watch with a beep accompanied with a buzz on your wrist. Just lift up your wrist to see the Notification turn into a rich widget. If you’ve missed some notifications, you can simply swipe down from the top edge of the Apple Watch and catch up. Set your single most important widget to be available as a Glance using the force tap gesture on the zoom view of the widget. Then, just swipe up from the watch face to instantly glance at the number you seek out most. Numerics for Apple Watch is designed for brief interactions with the device. 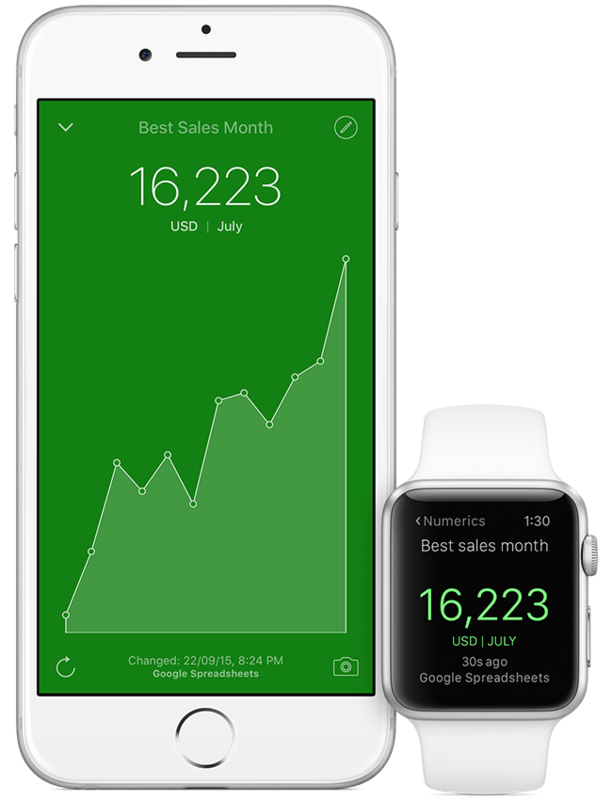 To see more information from a widget like previous values on a graph, simply transfer the widget from Apple Watch to iPhone using Handoff. Start with looking at a number on the Apple Watch, then continue on your iPhone with a swipe from the lock screen to zoom into the data. It’s one app that moves with you from your wrist to your palm. Along with Numerics for Apple Watch, Numerics v3 gains a slick new feature on the iPhone and iPad - Deeplinking. With this new enhancement, on swiping a widget’s notification from the lock screen or tapping on Numerics’ Today Screen widget will navigate you directly to the zoom view of the widget, instead of just opening the app. If you have many widgets / dashboards created in your Numerics app, this will save you a ton of time. 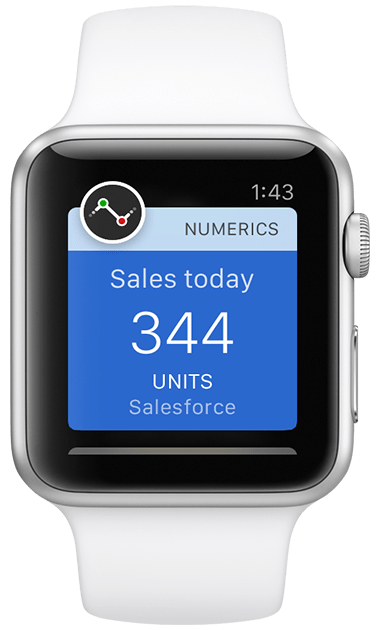 We believe that with Numerics on your Apple Watch you will find yourself checking your numbers often in turn enabling you to take better decisions. Numerics v3 designed for Apple Watch has been approved by Apple and is available globally on the App Store. If you are one of the lucky few to have an Apple Watch now, you can download it now and start using Numerics on your Apple Watch. 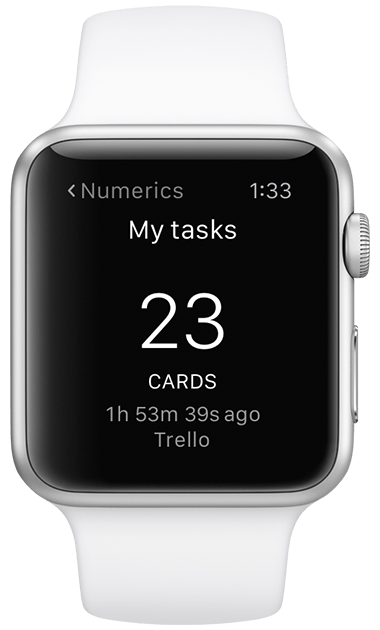 For the rest of you who haven’t yet tried out Numerics, you can download Numerics and set it up on your iPhone, to prepare for more power to your wrists as soon as your Apple Watch arrives. In the mean time, here are some screenshots for you to get a glimpse of what Numerics looks like on Apple Watch. Learn more about Numerics for Apple Watch here.